September 15, 2013: Amsterdam Photo Club is proud to announce Melanie Lemahieu as the winner of the summer photo contest of 2013. Melanie has used many good techniques to focus attention on the subject in the photo, like shallow DOF and a good composition. Beyond this, her photo has a raw vibrancy and many capturing details, as your eyes start to wonder through the photo. 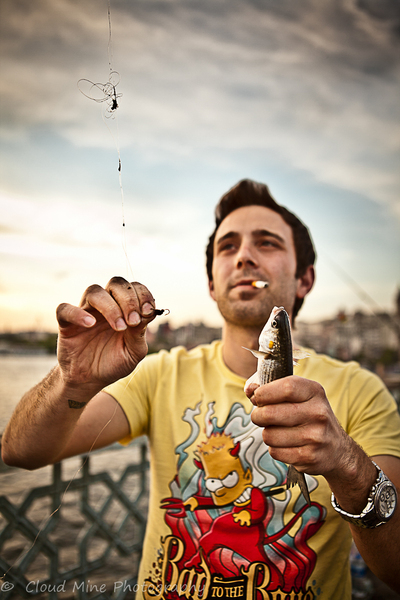 The expression of the man’s face, the firm grip around the fish, the mood of the t-shirt and the tension of pulling a fishing line with a hook on it. The photo clearly express summer. But with a hint of dark colors and contrasts. 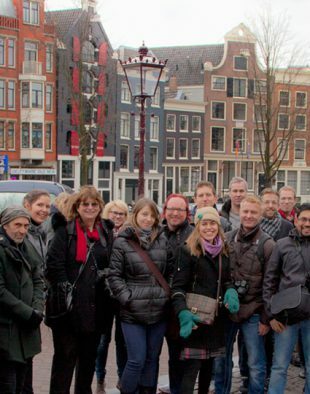 Amsterdam Photo Club is a leading photography community and foundation, providing photography educational events in Amsterdam. Working with an international team of event organisers, volunteers, partners and a rapidly growing community, the Amsterdam Photo Club operates in multiple venues around the city center offering: photography courses, specialised workshops, portfolio reviews, lectures by experienced photographers, excursions, exhibitions, competitions and photowalks. For more information, please visit www.amsphotoclub.com and follow Amsterdam Photo Club on Facebook, Twitter and Instagram. 2010-2018 © Stichting Amsterdam Photo Club. All rights reserved.